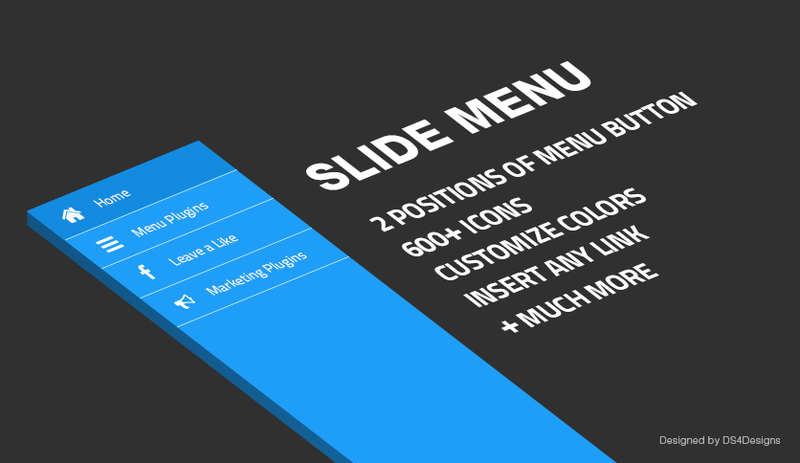 The Slide Menu Pro plugin: create practical and bright slide menu. Create bright pullout menu with the Slide Menu Pro plugin for the WordPress sites. To open it just click on the compact hamburger icon in the page corner. This plugin can contain the large number of navigation elements and options. Use the Slide Menu Pro plugin settings to create the highly specialized menu solves specific tasks. Each of the item menu is assigned to the concrete site page or function. This is very convenient for the web resources with the large data set. identify the users group with access to the navigation. Opened menu is not bounded to scrolling the page. It remains in the locked position until the user will close it. Increase the site usability by choosing new technologies. Slide menu is the practical solution for different web resources types. It has become popular among owners of many mobile devices due to the concise display on the screens with any resolution. The Slide Menu Pro plugin perfectly solves the problem with limited site workspace. To draw the user attention to the navigation element, you should use bright color design for the button. It affects the conversion of the site.